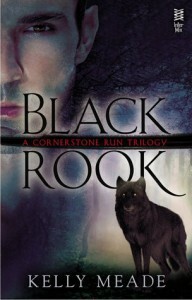 I would say BLACK ROOK has more characteristics of an Urban Fantasy with a dash of Paranormal Romance, just because there is more character development and world building and less smexiness between the characters, but that’s just my opinion. Kelly Meade has a gift for story telling that’s enviable, I couldn’t get enough of this paranormal world and its characters! Meade allows the reader to connect with each character, hero or villain, which is not an easy feat. I also feel the supporting characters in this story are just as engrossing and shine as much as the hero and heroine, I loved equally. Filled with mystery, action and a HEA, BLACK ROOK is a phenomenal series debut that will leave you hungry for more! The McQueen brothers are officially my new book boyfriends!